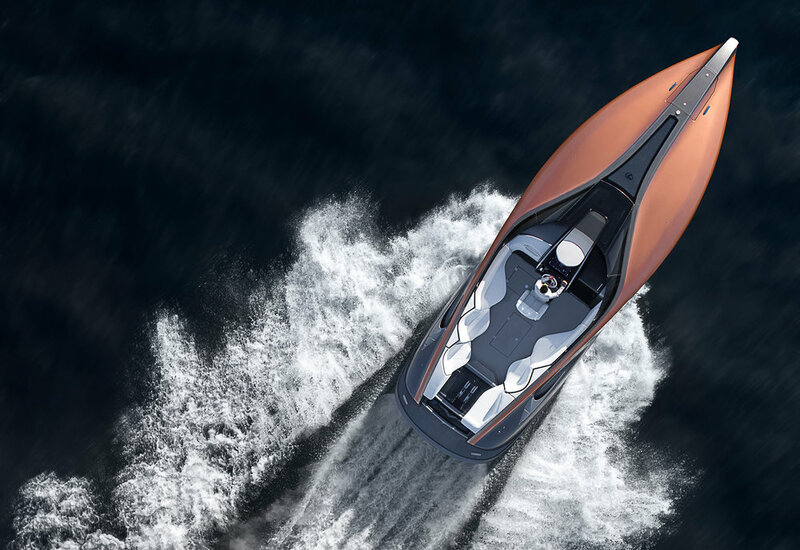 Lexus has joined an ever growing list of car manufacturers producing luxury boats - with the unveiling of a 42ft Sport Yacht. The inspiration for the Sport Yacht concept can be traced back a few years to the Toyota Marine Department’s preparations for a new range of premium Ponam yachts that are soon to be launched in Japan. 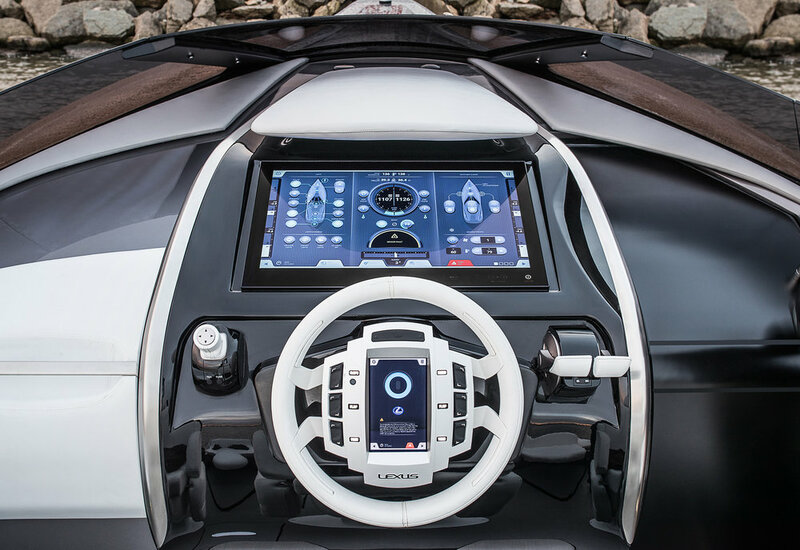 Toyota President Akio Toyoda was invited to spend several days driving the new craft and he was said to be impressed by the power of the turbodiesel engines and the handling and stability of the advanced hull designs. Consequently the marine department explored how such a yacht could extend the Lexus brand into new areas. 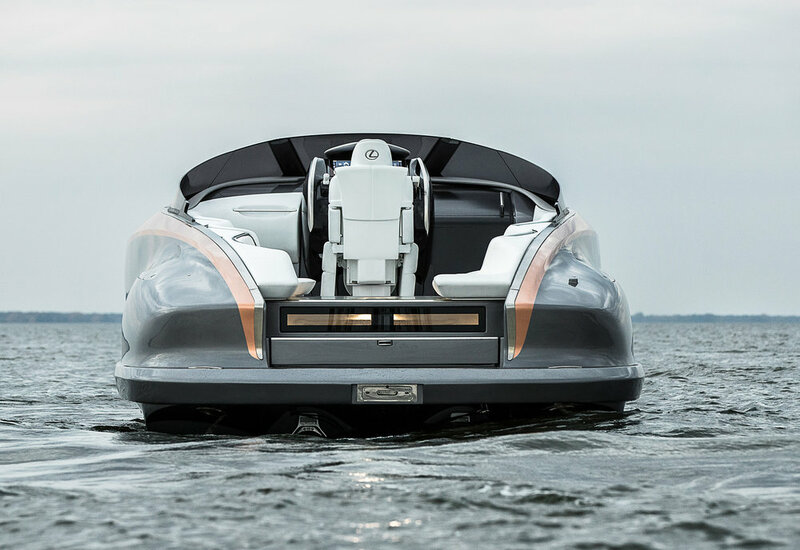 The result is a running proof-of-concept Lexus Sport Yacht. The selected proposal was refined throughout 2015, with the Marine Department engineering the construction and on-board marine systems. The concept revealed today is a bespoke, one-off project, and at the moment there is no intention to put the yacht into production, says Lexus. The Sport Yacht’s upper deck and outer hull are bonded around an inner structure. Each piece is a large, single structure made from hand-laid Carbon Fibre Reinforced Plastic (CFRP) - a material used in the construction of race cars and road-going supercars such as the Lexus LFA. CFRP is also used in the construction of high-performance aircraft, competition skis, bicycles and world-class racing yachts. The concept is powered by two 5.0-litre V8 petrol engines, based on the high-performance unit featured in the Lexus RC F coupe, GS F sport saloon and the new LC 500 luxury coupe. 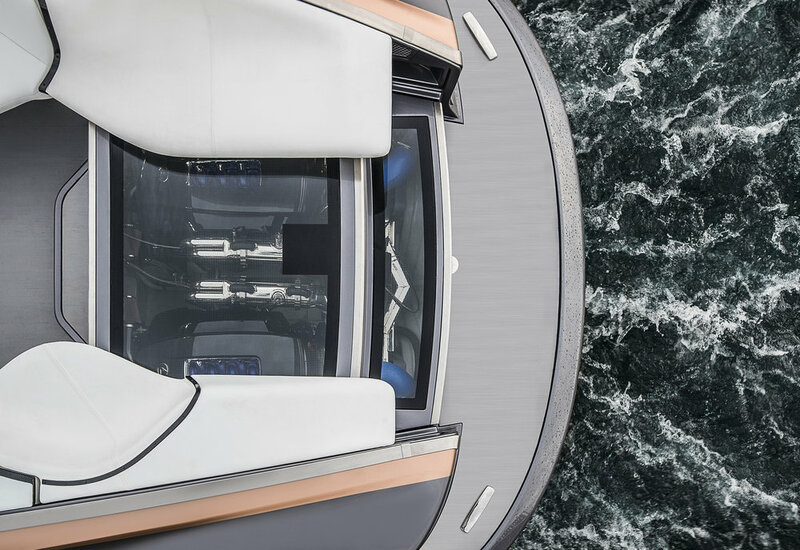 Each engine produces more than 440bhp driving the yacht at speeds up to 43 knots - 49mph - through a pair of hydraulically controlled inboard/outboard stern drives. A bow-thruster with joystick control aids with docking. The ‘standing-height’, forward passenger cabin is finished in luxurious Lexus leather with wood and glass details. Sofa seating for six, a table and air conditioning create a comfortable environment for entertaining. In the galley there is a two-burner stove, sink and under-counter refrigerator. The facilities in the head include a shower. Videoworks of Italy have created the fully networked, integrated audio and video entertainment system, with 4G, WiFi and WAN. Sound reproduction is by Revolution Acoustics surface-mounted drivers using the ceiling panel as a transducer, powered by a Mark Levinson Reference digital amplifier.